gospel | Who Said Life Wasn't Complicated? 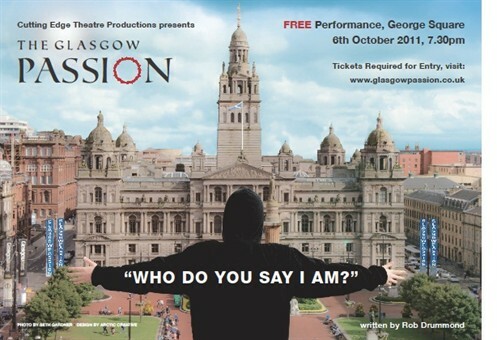 On Thursday night, I took our young people to see the “glasgow passion” (a modern retelling of the passion of Jesus set in Glasgow) in George Square, Glasgow and I thought I would share a few thoughts about it. I’ve seen a number of modern retellings, from the South Africa set “Son of Man” to the outdoor passion play in Manchester a few years ago. This production shared more than a passing resemblance to the Manchester play with its use of pop songs and outdoor city centre setting. Rather than simply saying whether the play was successful or not, I will instead focus on three areas: story, setting and acting. From experience, I know how hard it it to translate the story of Jesus into a modern setting because the gospel of Jesus is culturally bound. The events and characters in the story are time and culture specific. The issues that Jesus grapples with are the issues of first century palestine. I feel that the writers of the ‘glasgow passion’ did a reasonable job of updating the story. Herod and (Mc)Caiaphas were recast as politicans campaigning for re-election amidst allegations of corruption. So far, so good. This idea worked well as it gave them a reason for getting rid of Jesus. They wanted the power and so when a new political candidate rises up, they will do anything to stop him. They also introduce a new terrorism act which works as a plot device to have Jesus arrested and tried. Having Jesus labelled a terrorist works well. Translating the disciples was always going to be difficult and I think they do an adequate job but as is often the case with these productions, many of the characters aren’t given much to do and disappear into the background. It would have been better to reduce the numbers of disciples to three our four to make them more rounded. My biggest gripe with the story is the ending. For most of the running time, the writers are keen to show that this is modern day Glasgow. That this is what would happen if Jesus walked around now. But by trying to be faithful to the gospel text, they make a huge mistake. After Jesus is arrested, he is sentenced to death by lethal injection. That is not modern day Glasgow. In that one act, the story loses its grip on reality. To add insult, the execution of Jesus is carried out publically. This would not happen. It would have been better to have Jesus arrested and for Herod or Caiaphas to have paid another inmate to have killed him whilst in prison. Yes, the death wouldn’t have been public but it would have made more sense and would have fit better with the modern day setting. An outdoor play, in October, is a difficult thing to pull off. It was very cold on Thursday night and many of our young people lost interest because of this. In order to keep people focused on the story, rather than the temperature, it has to be more engaging and unfortunately the story sagged in the middle. There were four stages (i think) dotted around George Square and the audience had to turn to keep up with the action (or just watch the giant screens). The problem with this set up is that you waste a minute or so trying to work out where the actors are speaking from. It would have been better to have had the four stages at the front but that is a small gripe. The main players: Duncan Rennie, Alan McHugh, Derek Munn and Mike Tibbetts played their parts well and Rennie did a great job of bringing real depth to the character of Jesus. The rest of the cast were a mixed bag and there was some truly terrible and amateur acting that threatened to derail the entire production. Overall, it was worth seeing and was a good experiment. I think if it were to happen again, some of these issues would need to be looked at if it were to be more successful. My first article has been published! It appears in the latest ‘Insight’ Magazine. ‘Insight’ is the quarterly magazine from International Christian College, Glasgow. I’ll be putting up a scanned copy soon but here is the original draft. It is a reworking of an earlier blog post. This summer I was fortunate enough to merge two of my greatest, creative passions: filmmaking and youth work. A former youth worker, now teacher, asked if I would accompany a group of pupils on their trip to Auschwitz. My role would be to document their reactions to the camp in order to produce a series of short educational films based around the Holocaust. I jumped at the opportunity, not only because I would get an opportunity to widen my filmmaking experience, but I would get to visit an incredible piece of history. What I saw and felt there will stay with me forever. I had heard stories about what happened at the concentrations camps. I had seen films depicting events there. But none of this prepared me for how I felt when I physically stood in a gas chamber where hundreds of thousands of people spent their last few minutes on earth screaming; it hit home. As I walked through the different buildings and saw the piles of clothes, shoes, glasses and hair of the thousands of people who lived and died there; it hit home. As I walked through the registration building and saw where thousands were stripped, shaved, hosed down and left to die; it hit home. This really happened, to real people. Death was allowed to flourish here. As a Christian youth worker, my beliefs, my worldview, permeate every part of my work and are, in fact, at the centre of everything I do. 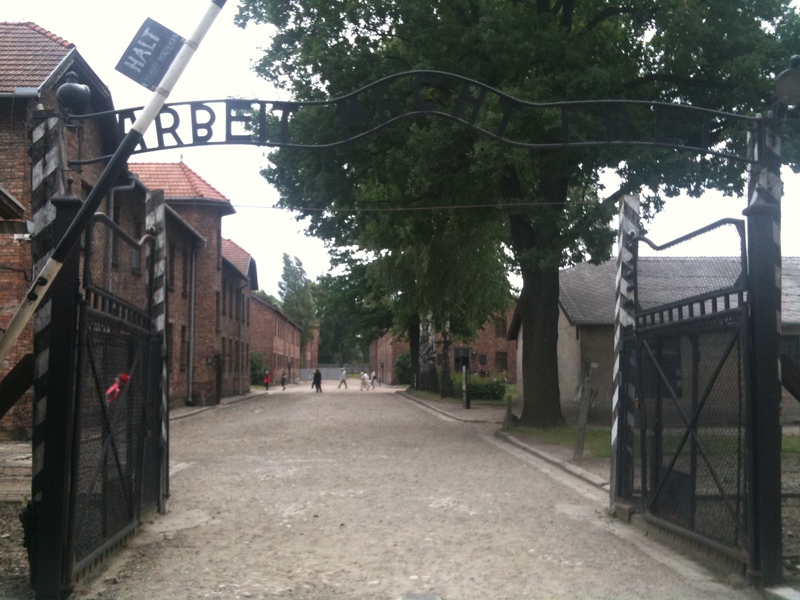 When I was at Auschwitz, I tried to process the horror. I tried to understand how something like this could have happened and how people could have done this to one another. I believe that what happened stems from labels. The negative labels we put on other people, those that others force on us, and those we choose for ourselves. This lesson is found in the first few pages of the Bible where Cain murders his brother because labels have divided them. Abel was labeled as ‘favoured’ and, by default, Cain felt labeled as ‘unfavoured’. The great sadness of the story comes when Cain, unable to break free from the hurt of a negative label, takes his own brother’s life. Throughout the rest of the Bible, I find countless examples of the labeling of people. Both for good and for ill.
Recognising our differences is not wrong, belonging to a group is not necessarily harmful, but the trouble begins when it breeds a persecution mentality of deciding who is ‘in’ and who is ‘out’. When we strip people of their humanity and no longer see them as God created individuals, the floodgates open wide. We then feel able to do whatever we like and say whatever we like because they are now different from us. 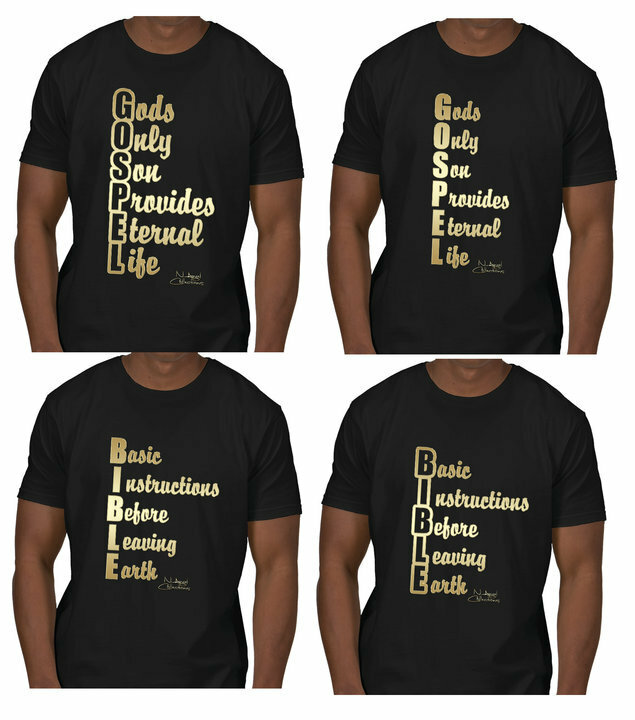 It is a truth we find in the Bible and a truth that has echoed throughout history. At worst, labels allow us to indulge our darker tendencies to bully, manipulate, discriminate and hate other humans. I believe that, in part, this is how the Holocaust unfolded. 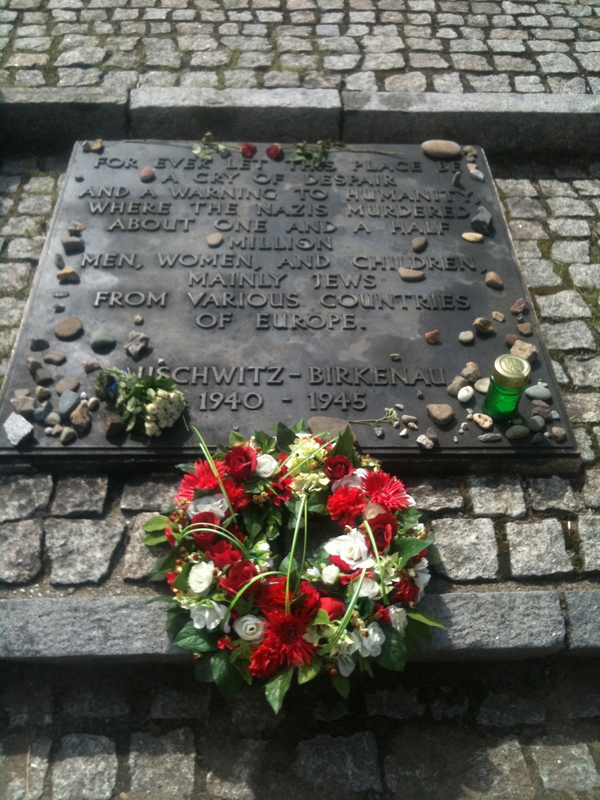 The Jews, and many other minority groups, were no longer seen as human beings, and so the Nazi’s rallied against them. They were labeled as ‘different’ and that quickly morphed into them being seen as ‘less than human’, which then led to the justification of horrendous abuse. The slave trade, the Holocaust, the Rwandan Genocide, the recent shootings in Norway all happened because human beings chose to label fellow human beings as ‘unimportant’, ‘unwanted’, ‘dangerous’ or ‘expendable’. What continues to sadden me is that similar attitudes still thrive today. When I see people being singled out as different, and then being ridiculed or bullied because of it, I am aware that the concentration camps are only a few steps away. I recently read an article in “The Independent”, that stated that one in five children are victims of cyber-bullying. In some cases, this has led to children taking their own lives. All because other people have defined them as ‘different’ and then ridiculed them mercilessly because of that label. When I read about Jesus’ life in the Gospels, I see a man determined to do away with the labels that constrict, and turn us against one another. Paul puts the actions of Jesus into words when he states in Galatians 3:28 that “there is neither Jew nor Greek, slave nor free, male nor female, for you are all one in Christ Jesus”. These were the religious, political and biological labels of Paul’s day and he claimed that none of them should be used to create divisions. Instead of starting with what makes people different, Paul urged the early followers, and now us, to find a common identity that unites people, rather than one that forces them apart. And that common identity was Jesus. In order to heal the rift between mankind and God, Jesus stripped himself of the labels that defined him (Philippians 2:7). To heal the divide that exists between groups of people, we must do the same. It is this theology of unity that is at the heart of my youth work practice, and it is what I attempt to share with the young people I come in to contact with. It is a theology that proclaims that we all share a common origin and identity and that are our relationships with one another must start from that place. Because until we stop casually defining each other with suffocating and toxic labels, there will continue to be casualties. Tribes will continue to rise up and slaughter other tribes. Minority groups will continue to be excluded and discriminated against, and individuals will continue to be crushed under the weight of bulling and ridicule. Death will continue to flourish. Let us stand against this oppressive labeling system and choose to walk the alternative path that Jesus trod. A path that unites rather than divides; includes rather than excludes; brings life rather than death. Finding the Divine in the depraved! Now much like my post on the revenge flick “I spit on your grave‘, I realize that this film is not for everyone and some of you may simply be disgusted that I would choose to watch a film like this and talk about it in the first play. This blog probably isn’t for you then. But for those who have seen it, or watch this type of film from time to time, I wanted to talk about it. As I said. Not for everyone. But there are some intriguing themes lurking in the blood soaked corridors of the movie. ‘Mum’ and ‘Dad’ have two adoptive children (Birdie and Elbie). It is implied that they were at one time captured like the Polish woman (Lena) and tortured. But over time, they became part of the family. That always seems the plan of ‘Mum’ and ‘Dad’. They want to have children. They want to have a large family. But what kind of family? They want a family who will fear them. Who will do anything for them. Who will kill for them. If the captured boys and girls’ will yield to ‘mum’ and ‘dad’, and fear them, they will be invited into the family. As humans, we too have been given an invitation. We have an invitation into God’s family. We no longer need to be slaves to the idols of this world: individualism, consumerism etc. And unlike ‘mum’ and dad’s family, it is build on love; not fear. Unlike ‘mum’ and dad’s family, we are accepted unconditionally into this family. We don’t need to be slaves to their wicked demands. Is this the message I speak of with the young people of the church? Is this the message that they hear? Not always. I’m often guilty of enslaving this good news with rules. Of ‘norms’ that they need to follow. What would the youth groups I oversee look like if they proclaim this joyful adoption message?